We already know that crowdfunding is a good way to finance your business plans, but is It suitable when it comes to a hobby non-profit idea? Yes of course it is. Today, we will present you one of such examples, a project, that used crowdfunding to get a funding for a realisation of a dream of a group of adventurers. Nearly ten years ago, a group of adventurers decided, that they will build a replica of the very first Czech sailing ship from the second half of the 18th century. Yes, Czech Republic, although we do not have any sea, did have its own sailing ship and her own sea captain Augustin Herman. Augustin Herman left Bohemia in the 16th century after the battle of White Mountain and first seated in Holland. In American territories, he was first mentioned in 1633 when he, on behalf of West India Company, negotiated with Indians about a purchase of land near today’s Philadelphia. He was a pioneer of tobacco trading which he imported across the ocean into Europe and acted as trader and privateer in the Caribbean. His naval life was mainly connected with the boat „La Grace“. It was her who accompanied him around the islands of the Caribbean Sea and across the Atlantic Ocean. La Grace was the most famous privateer in the early days of America. Every year she sailed to the Caribbean and there, with governor’s approval, she attacked ships of the enemy. Her victory over the two Spanish barks loaded with ebony, tobacco and wine near the coast of Guatemala in May 1644 was the most famous one. You don’t come across such stories about pirates every day in the Czech Republic and so a group of adventurers decided, that they will try to build a replica of a very first and probably also the last pirate ship with Czech roots. Her construction is based on the plans which were published in Architectura navalis mercatoria from 1768 by a Sweedish admiral Fredrik Henrik Chapman. Although the replica is build based on original construction ways and even admiral Nelson will not recognize any historical inconsistency at first sight, inside she is equipped by all the modern electronics, safety systems and equipment which will allow her to sail safely and also provide the crew with comfortable environment for relaxation or training. The ship was finished in 2010 in Egypt, in a country where they still use the original methods to build wooden ships. Since then La Grace serves as a school ship. 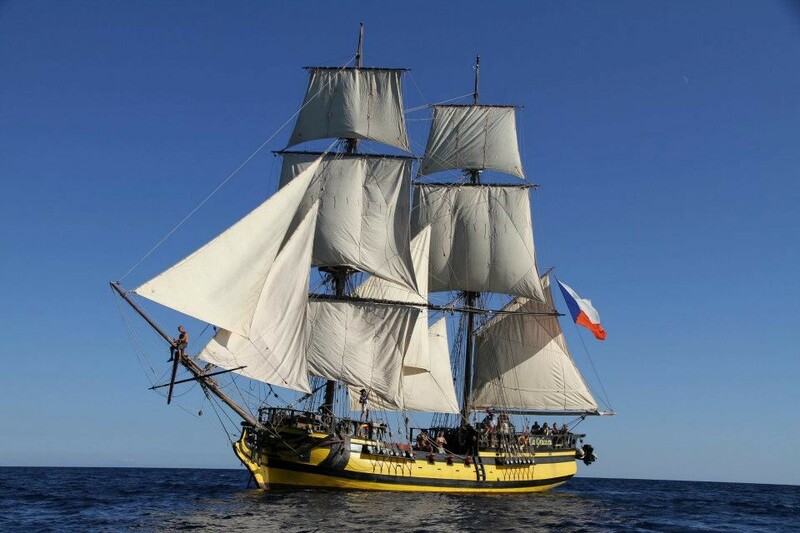 Because the owners must earn money for the operation of the ship, they also offer the possibility to participate at La Grace voyages either as a guest or as a cadet that participate at the daily duties on the ship. During the time the captain of the ship and its crew also participated in many international races of Tall Ships. La Grace and her crew have won respect and appreciation from their rivals in this race already thanks to excellent results. Unfortunately, bad condition of the sails showing strong signs of fatigue after six years work made it impossible to participate in this race any more. 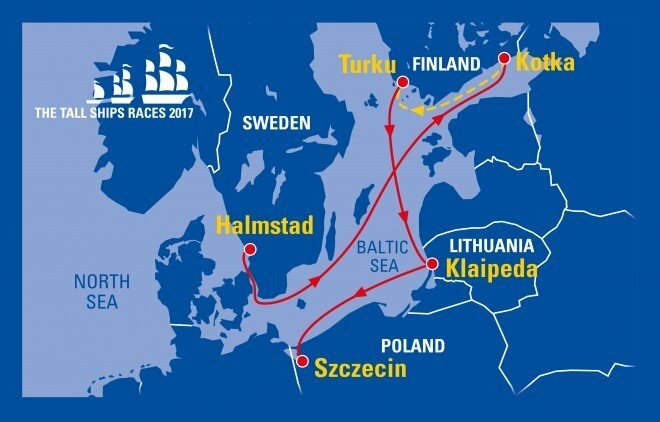 The owners did not have any more money to buy new sails and that was a time when they decided to use crowdfunding to buy new sails for La Grace and allow her to participate at a tall Ship Race 2017 on the Baltic Sea! For the campaign, they used Czech crowdfunding server startovac.cz. https://www.startovac.cz/projekty/plachty-pro-la-grace/. The original goal of the campaign was to get 36,000 EUR. The goal set has been overcome during the campaign, and the authors have managed to collect more than 37,978 EUR (105 %) from over 629 contributors.